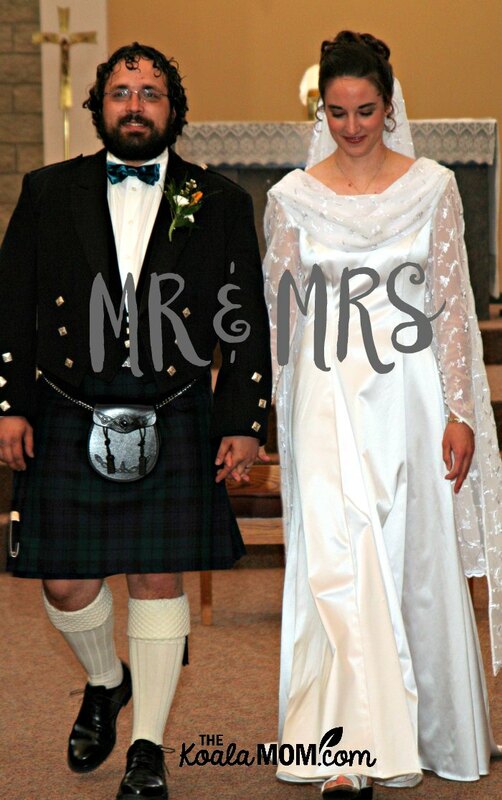 I have some pictures of our wedding day on my computer screensaver at work. Occasionally as they scroll past, one will catch my eye, and I’ll glance up from the document I’m editing, trying to imagine myself back in the place and time of the picture. It seems almost strange that the day we waited so long for and put a year of preparation into would come and go so quickly. Already we’ve been married a month and our daily routines seem so normal. My clearest memory of our wedding day is the moment my alarm went off. On about the tenth shrill beep! I hit the button to turn it off, and then rolled over and stared up at the ceiling as my heart started pounding. Holy cow, I thought, I’m getting married today. I thought of my two bridesmaids sleeping in the other room and of my fiancé, probably still asleep at his parents’ place. I thought of everything we’d set up at the church and all the plans we’d made for this day. Then I spent several minutes praying and trying to calm down before I tiptoed into the shower to start the day. That was my only moment of nerves during the whole day. Everything went smoothly. 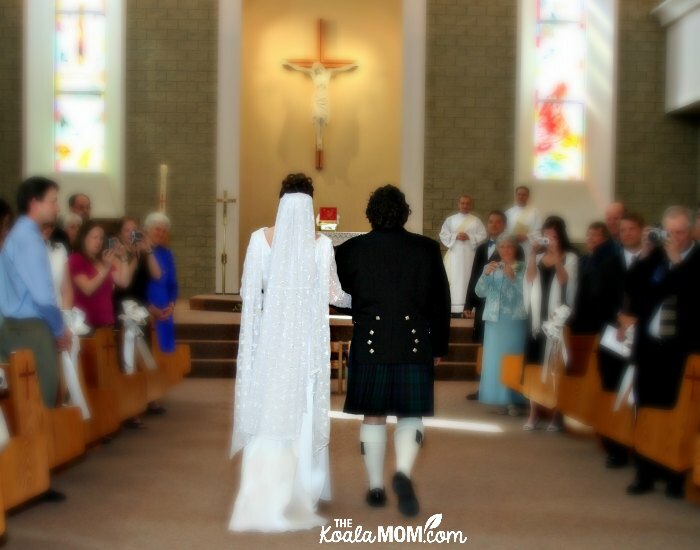 I was at the church early – before my fiancé was even ready (kilts take a while to put on). 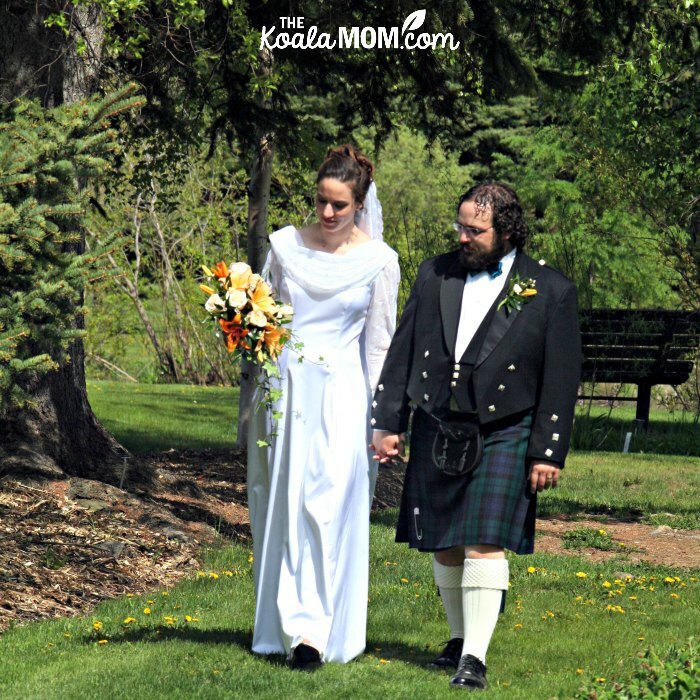 Our Scottish heritage is a few generations back, but he decided it would be fun to wear a kilt for the wedding. His groomsmen were game enough to do the same, so they all wore matching Blackwatch Tartans. I laughed at the surprised looks of the first few people who walked into the church and saw the bride standing there, waiting to greet them. Some guests even thought they’d gotten the time zone change from one province to another wrong, and had missed the wedding! Then the hugs and pictures started as we tried to greet everyone – close friends, old friends, family, people we had seen recently and people we hadn’t seen in years, people I was meeting for the first time. We were having so much fun visiting and saying hi that the deacons had to ask everyone to sit down so that we could start the wedding! 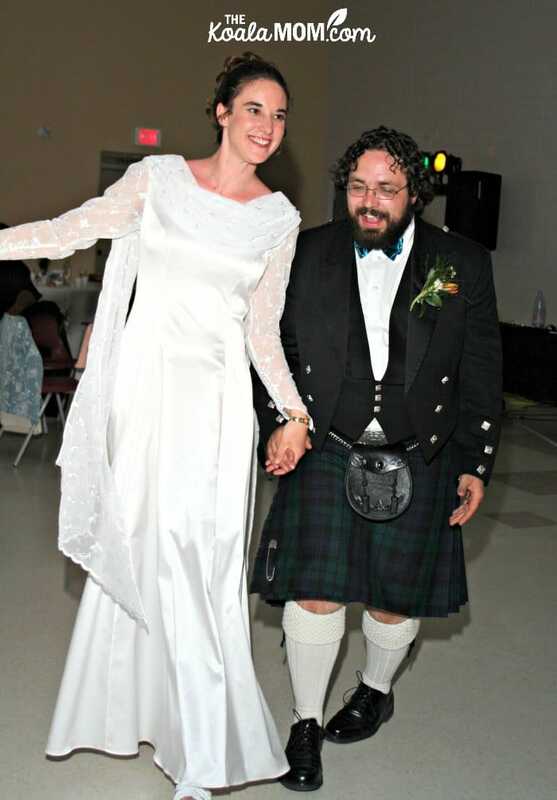 My husband and I walked each other down the aisle. While I love my dad, I disliked the idea that he’d be “giving me away” to another man, as if I was the property of either of them. 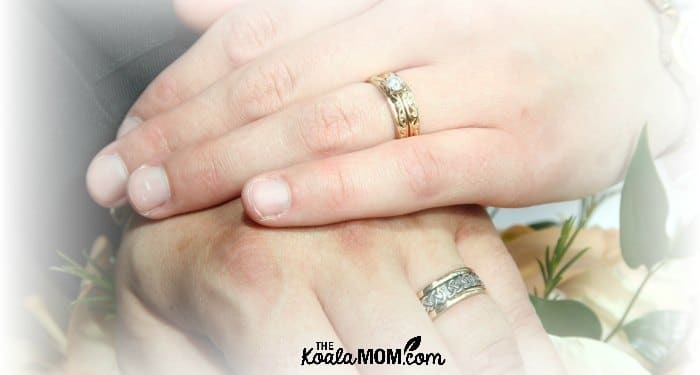 Instead, my husband and I wanted to show that we were giving ourselves to each other in marriage. Like my decision not to hide away before the start of the ceremony, this decision was a lot of fun and made our wedding day feel very special. During the ceremony, I stood looking at the audience, almost overwhelmed at the thought that they had all come to celebrate our special day with us. Many had traveled long distances; others had gotten time off work or made other sacrifices to be there with us. My cousin had flown in from BC just the day before the wedding, surprising me when I thought she’d be unable to come. 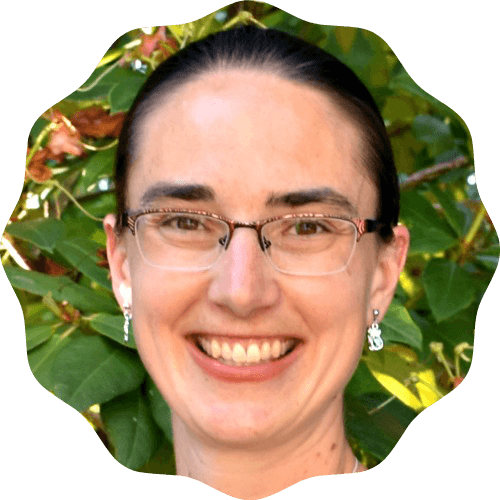 While I’d joined the Catholic Church just a month before our wedding, we didn’t have a wedding Mass. 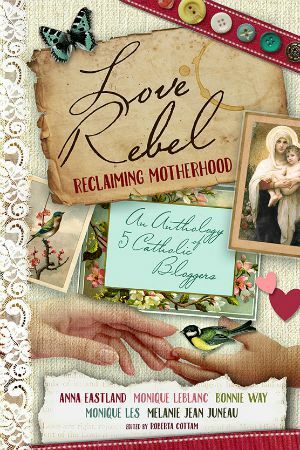 Because both my husband and I were converts, most of our family and friends weren’t Catholic. We didn’t want to make them uncomfortable by having a Mass that meant little to them. 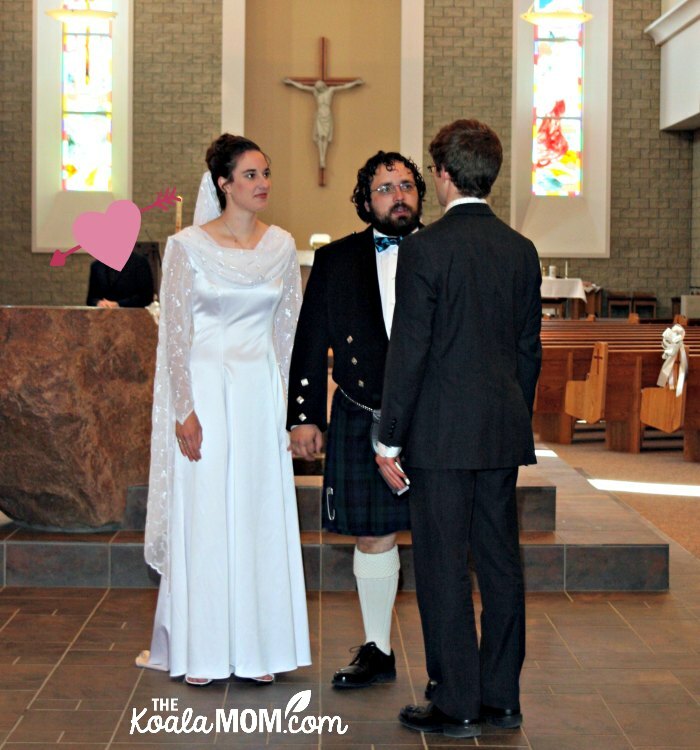 Instead, we went to 5 pm Mass together before walking down the hallway to the church hall for our reception. I appreciated how many friends invested in our special day for us. Our invitations had been made by my best friend and her sister. My mom sewed my dress and hers, and my husband’s jacket. Our photographer was a friend’s aunt. The two deacons who presided over our ceremony were friends of my husband’s from seminary. My hair and flowers were done by old family friends. Our reception was catered by my best friend’s dad. I also remember the fun of that day. Trying to get my brothers into the family pictures. Holding our two-year-old niece who wanted to be in every picture. The best man running into Shopper’s Drug Mart in his kilt to get snacks for us on the way to the gardens. The teasing and joking with each other as we tramped around the gardens taking pictures. Getting mosquito-bitten and sun burnt because it was such a nice day. The groomsmen conspiring to stop at the drug store for after-bite and after-sun lotion for us girls despite our instance that we were okay and didn’t need it (we did). Watching all the little kids running around at the reception. Trying to say hi to everyone and trying to dance to our favourite songs at the same time. Tonight we get our wedding pictures from our photographer. I can’t wait to see them, to laugh and reminisce with my husband, to see parts of the day that I missed in the busyness and bustle. To remember everything that day means to me – family, friends, laughter, fun, love. What little traditions or memories made your wedding day special? Bonnie, a big congratulations!! When do we get to see the pictures – I’ll bet they are fabulous. Wishing you and your hubby many blessings in the days/months/years ahead.